It’s a gray Saturday of May and, as in any May in these latitudes, the sky’s been falling heavily on us for days. In spite of this, we are exultant: Luna Yuan, commercial manager at Vsonic, will pick us up and take us to visit their facilities. As we are fairly close and, most important, our driver knows the way and the “peculiarities” of local traffic, not half an hour passes before we are already parking safe and sound in front of the brand new Vsonic headquarters in Dongguang. 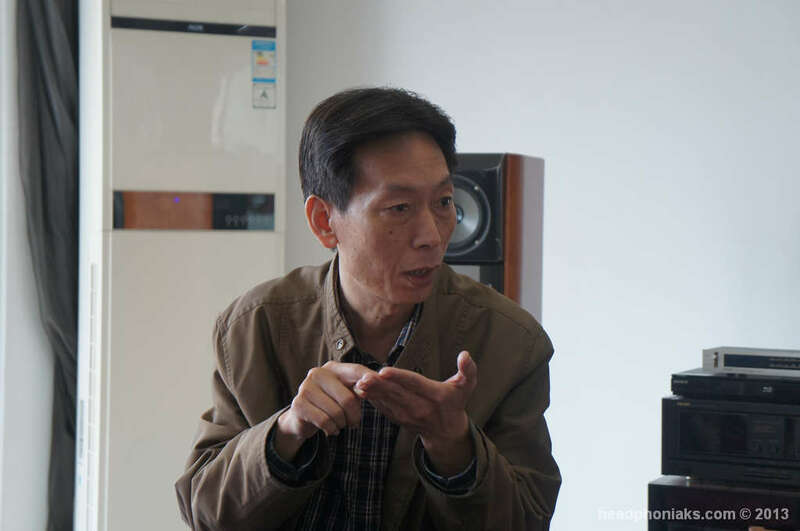 Maico Yu, the company’s founder, receives us. At first sight he comes across as an easy man, a mixture of shyness and kindness. He joins us in the car and we head towards his studio. He brings up that he prefers to keep it apart as, although he spends most of the time in the factory, he needs a place of his own to concentrate. There we find a large loft, where a pair of Focal Diva Utopia stands out along with other sweets by Meridian, Teac and Sony. Behind them, a short aisle leads to two rooms. In the first one we barely dewcry a table under tons of cables, electronics and headphones −at first sight we distinguish the whole Audeze range, a Grado RS1000, Hifiman H300, Senheiser HD598 and HD700 among others. A man of fine taste, Mr. Maico. He tells us that he has dozens of headphones and spends hours in this room whenever he has the chance, testing and comparing whichever draw his interest. When we ask why he owns so many headphones when Vsonic manufactures exclusively IEM’s, he answers with a smile. With surprise still in our bodies we move on to the next room, where he keeps a complete acoustic lab equipped with an array of measuring/testing tools he uses to refine his creations. After visiting his playroom, we go back to the loft, where Mr. Maico and Luna begin to prepare tea. Ritual has it, that tea must be served in a silent and easy fashion, so pauses end up defining the slow pace of our conversation. HPK: How did Vsonic start? Which were the foundations of the company? Maico: Actually, our company is not as young and new as many think. Most of you have heard of Vsonic within the last two or three years, but the company was founded in 1980. The company’s first incarnation was established in Japan, although it was a Chinese company with Chinese investors. I was in collaboration with a teacher of mine who was Japanese. Those were the years of walkman and the beginnings of the diskman, and we were devoted to manufacturing those sorts of devices. We continued until 1999, when we finally established in China, in Nanshan district in Shenzhen. Back then we were still making CD players, and later on we entered the market of MP3 players. During that period, earphones were only an accessory we gave away with the main product. I have studies in the field of acoustics, so I have certain knowledge and skills to carry out R+D aimed at making things sound better, especially the earphones’ electronics. We sold reasonably well in that period, and people usually praised our players for sounding very well. What they didn’t know is that they sounded well not due to the players themselves, but to the earphones included in the pack. 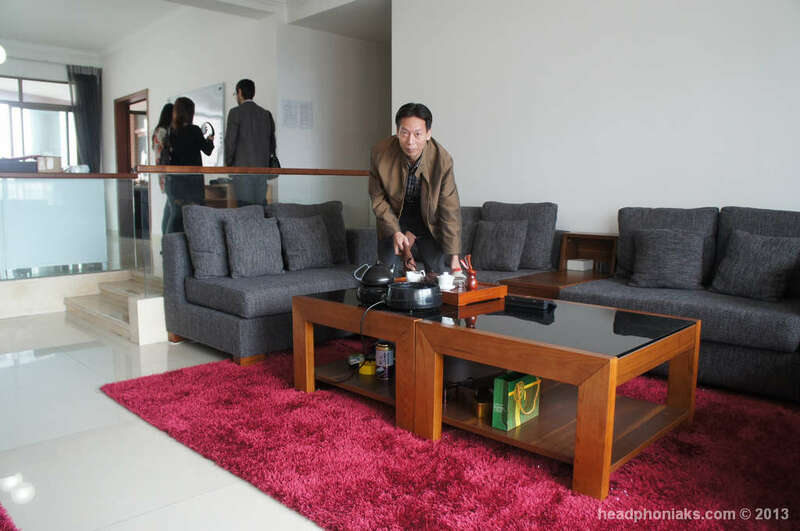 In 2000 Senheiser came to China and the earphones industry became increasingly popular. It was then when we felt that this market was becoming more and more interesting, but it wasn’t until 2003 that we began selling Vsonic earphones separately. Our first model was the R02. Despite being our first model, both the cables and the plugs were of very good quality; we cared about that. Furthermore, we wanted the design to be accordingly, and that colours didn’t fade or get worn with use. In 2005 we released the R01 (still without a “G”). HPK: You mentioned that back then you were also selling CD and MP3 players. Were those designed by Vsonic also? Maico: Yes, we also designed and manufactured them, although the success of R01 meant a change in our strategy, and since then we focused on manufacturing earphones exclusively. HPK: What was special about those first products? 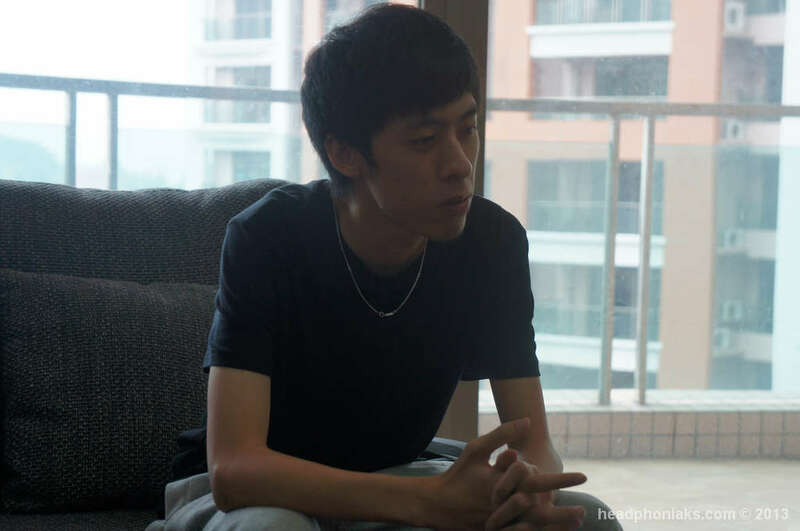 Maico: In that moment, IEM’s were not very popular, and we were the first to work exclusively with them here in China. As IEM’s were better considered among audiophiles, we aimed at that niche from the beginning. HPK: Back then, was Vsonic selling in China only or also overseas? Maico: We were selling in the Chinese market only. Earphones market was still very green here, and there weren’t any other specialized manufacturers. He pours some more tea. “When I’m pouring tea I can’t think of anything else, because that would spoil the flavour”. Luna: Good tea needs certain features; it’s not only about drinking it, it must rouse lots of sensations in your palate. HPK: Speaking of the brand’s evolution, it would be interesting to know whether Vsonic has looked at some other manufacturer’s mirror to define its path. 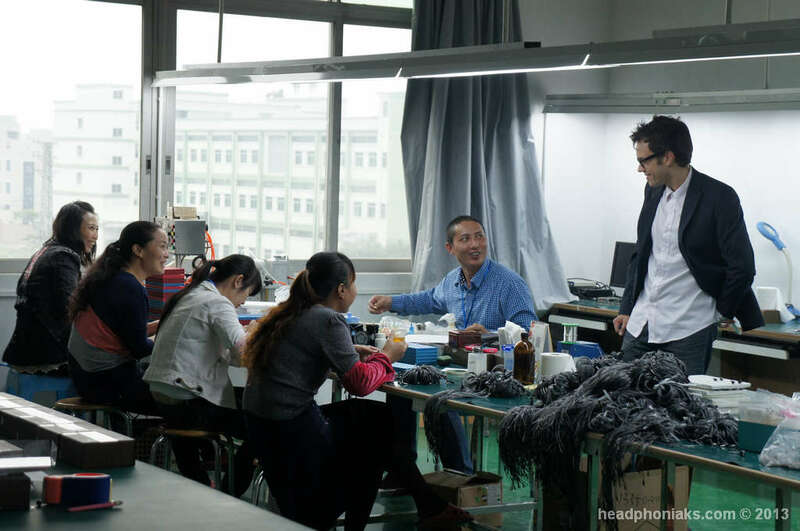 Perhaps when Senheiser came to China, for instance, you got interested in what they made and how they made it. Have you ever considered that or have you always preferred to go your own way? Maico: As I said, in the beginning we manufactured players, and simply wanted our earphones to transmit the sound in the best way possible. Further on, when we decided to focus on earphones, we wanted to look at some other company. After observing manufacturers from Japan, Europe and America, I concluded that Senheiser was the best of them all. Not only do they focus on the obvious (sound quality) but they care about every single detail, both internal and external. That’s the spirit we have been seeking from the beginning, a key attitude in our development process. So yes, we have a referent, which is Senheiser. But still, we’ve always worked on building our own sound; one that’s different from European, Japanese or American sound. But our spirit is similar to that of Senheiser. HPK: This leads us to the next question, brand identity. You said that you seek a distinctive sound as opposed to the others’, one that makes the user say “This is a Vsonic”. Is that still your vision of Vsonic? Maico: Sound style is a very subjective matter. American, Japanese and European sounds are utterly different. As for Vsonic, we are aware that we are not very well known in the international market, but Chinese audiophiles are able to immediately distinguish the Vsonic sound. Even when we manufacture for other companies following their requirements, audiophiles think: “This is a Vsonic”. If I were to define our sound in a few words, I would describe it as balanced and precise at transmitting the sound and timbre of instruments. This is what we try to accomplish. And the truth is that in each of our products we seek a different sound and use different tech settings, but the defining concepts that they all share are “balanced and precise”. HPK: So you’re not emulating anybody’s designs or specifications seeking to be like some other manufacturer. That’s where it becomes obvious that you’re passionate about what you do, which is mandatory when it comes to creating innovative products. HPK: Let’s talk about products. Which of the earphones you’ve developed so far makes you feel prouder? One that makes you think “Now that’s us, a genuine Vsonic”. HPK: Precisely, the GR07 is interesting for being the first of Vsonic’s products that can truly confront earphones by more veteran brands. We would like to know what that has meant to Vsonic. Was that your aim −competing directly with those manufacturers− when you were developing the GR07? What’s the idea behind this IEM? Maico: The goal was to accomplish my idea of a balanced, precise IEM, and in this particular case it took three times to get there. IN the end it’s not about filling the market with products and releasing lots of them in a row. I need to feel that the sound sensations are the best possible, and that’s above dates and release frequency. When I started projecting the GR07, I took this (aims at the huge Focals standing behind him) as a reference. I wanted to cause a sensation as similar to that of this audio equipment as possible. And that’s perhaps the only flaw I attribute to the GR07: these Focals count on the whole room’s space to develop a full, open sound; on the other hand, the space within an IEM is too small to expand higher frequencies. For me, that’s their only weak spot: not being able to develop that frequency range as much as I wanted. But in spite of this, when we released the GR07 I was more than satisfied with the outcome, and when we reached that point I knew it was about time we released it. It wasn’t as much about releasing and selling a product as about me feeling satisfied with it. Vincent, Maico’s son and the company’s CEO, joins us. He is responsible for projecting some of their latest products. 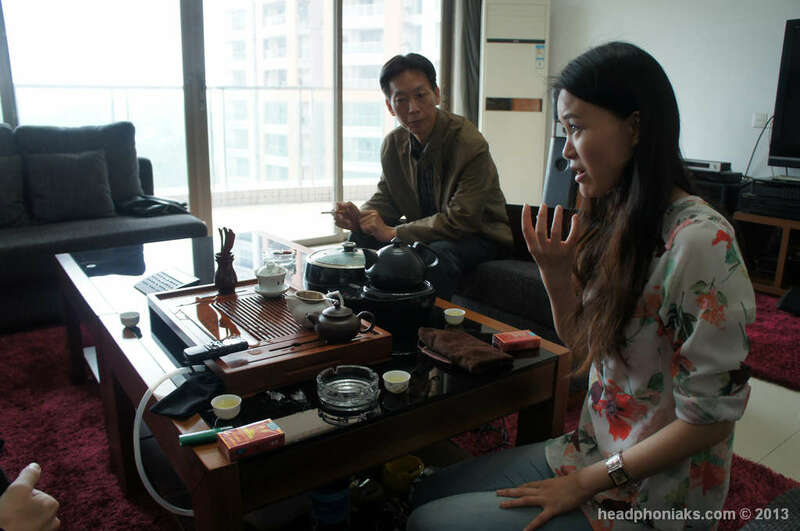 HPK: We were talking about your approach to IEMs’ development, and that your priority is feeling fully satisfied and happy with the results. But that’s one thing, and another is that every single unit of a specific model sound the same. It’s not about going to the factory during the production and testing every unit one by one; during the development process, one must make sure that that model can be produced on a broad scale. 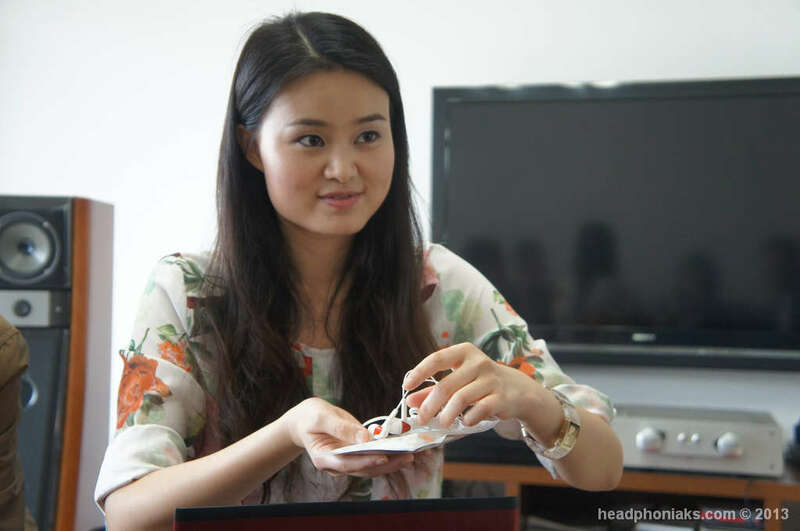 Maico: When we finish developing an earphone, we fix a frequency curve as standard reference. When testing their products, most manufacturers set an exact point within the curve and fix the error threshold in 3dB, which means that an earphone diverting 3dB from that particular spot in the curve is considered valid. 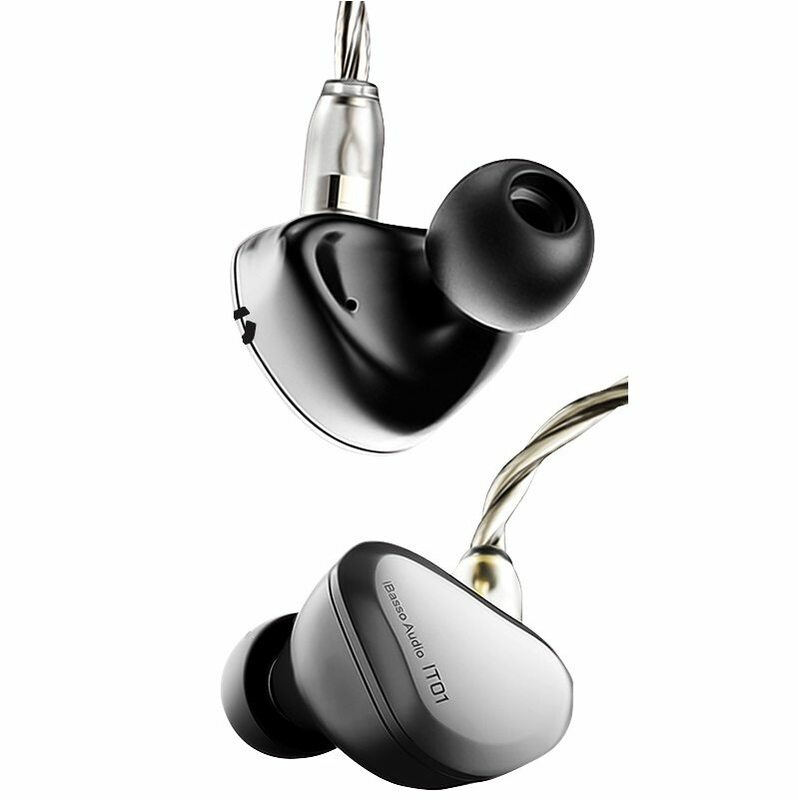 We look at the whole curve and will only accept a maximum 1dB distortion in both the left and right earphone. In our most economic models we increase the threshold to 2dB. In our beginnings, Vsonic was a rather humble company and didn’t have the budget of, say, Senheiser to manufacture tools and make nice-looking earphones, so we focused on developing our signature sound and watching the quality of our products, so since the beginning we invested in testing facilities. In fact, our quality control is far more complex than usual in this industry. Generally, an IEM manufacturer won’t test the drivers they purchase from an external brand, so they only need to test their products once finished. On the other hand, we do need to test the drivers too, so we end up testing them during several phases of the assembly process. We start testing the pairing of the drivers when it comes to frequency transmission; this is the first stage of our quality control. Then, once the drivers are inside the device, we test them again. And once everything is assembled, we test the earphones one more time. 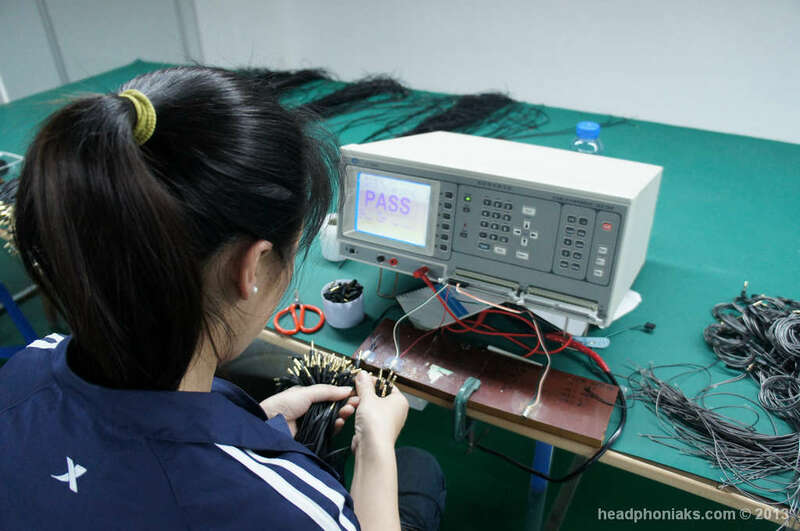 This is in rough outlines our quality control, although during the whole manufacturing process we subject the earphones to up to five tests, and we do so with every single unit. As we are at this moment unable to invest in better designs, we devote a huge deal of effort and money to these controls to make a difference. HPK: So for Vsonic quality control takes priority over looks. Maico: Yes, although right now we are working in that other aspect also. Ever since Vincent joined the company we are coming up with new designs. He is in touch with young people, he is more aware of the youngster’s preferences than I am. But our main focus of attention will always be the sound quality. The sound comes first, and then the looks. HPK: It’s good to know that Vsonic sticks to its philosophy, but you’re also aware of its weaknesses and are working on solving them. This relates to our next question. Your company has reached a point in which your new releases generate a wide expectation within the audiophile world. This is something you must be congratulated for, as it’s not easy to induce such enthusiasm in markets like the American or the European, sometimes above industry’s luminaries such as AKG and Senheiser. It normally takes time and effort to reach this point. To what degree are you aware of this, and how do you feel having accomplished this in such short period? Maico: Well, it’s not deliberate, as we don’t like to keep people waiting. We always begin planning to release a new product every three months, but then the R+D process, manufacturing, etc. end up delaying the release date. Our high-end products entail cost controls also, to adjust production costs to the price range we aim at. Of course, this doesn’t apply to every IEM −some are rather variations of previous products, which makes the R+D process easier− but it applies to most of our products. It’s not deliberate, but we don’t want hurries to spoil the product or the Vsonic brand. HPK: That might in fact be the reason why you cause so much expectation. What I mean is, during my time working as an engineer in China I’ve noticed that the most spread attitude among manufacturers is to create and to release products quickly, and sell huge amounts of them. You don’t see in those companies the patience that seems to realm in Vsonic. I think that’s one of your best assets, and my message as a user is, keep this way. It’s positive that you’ve reached this position, but what’s most impressive is that a small Chinese brand has reached this status among fans, either deliberately or not. Maico: Thank you very much. In the future we will keep developing products with the same philosophy of “sound first”, although we will also work on releasing more good-looking products. We want to reach that balance between sound and looks. We will continue next week with the second part of our visit/interview. We hope that you enjoyed the first one. As a curiosity we’ll point out that Maico’s business card doesn’t define him as president, or CEO or anything alike, but as “Acoustic Master”, just like that. And truth be told, after evaluating his outcome and after meeting him personally, and realizing how thorough and serious about his work he is, that’s nothing of a sumptuous statement.